Papua New Guinea (PNG) is set to join the exclusive club of LNG exporting nations before mid-year when first cargoes ship from its US $19 billion LNG project. The ExxonMobil-operated facility was completed ahead of schedule and without any cost increases in almost two years, in contrast to the raft of mega-projects nearing completion in neighbouring Australia. With a two-train capacity of 6.9 million tonnes of LNG per year, the project is a modest entry by Papua New Guinea into the LNG club of countries. But one of the project’s partners, Australian-based Oil Search, is already talking about being involved in the development of a number of additional trains in PNG over the next five years, which would elevate the country to a genuine mid-weight in the petroleum world. Mount Bosavi (Oil Search) PNG’s rapid evolution has not gone unnoticed, and already has a number of players fighting to get a foothold in the country or improve their position. 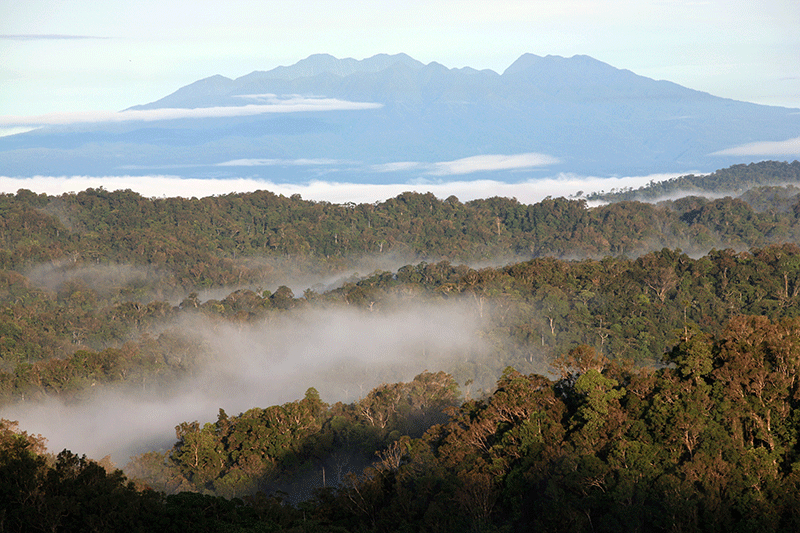 Oil Search is a pioneer of the country’s petroleum industry, with a history dating back to 1929 and extensive acreage in the Highlands and the Gulf of Papua, both of which are part of the Papuan Basin. It holds 29% of the PNG LNG Project, which is expected to produce more than 9 trillion cubic feet of gas over the next 30 years. The giant Hides gas field in the Highlands, an anticlinal structure 30 km long and five kilometres wide, is the foundation of the project, with gas feedstock also being drawn from the Angore field nearby and the Kutubu oil fields operated by Oil Search since 2003. 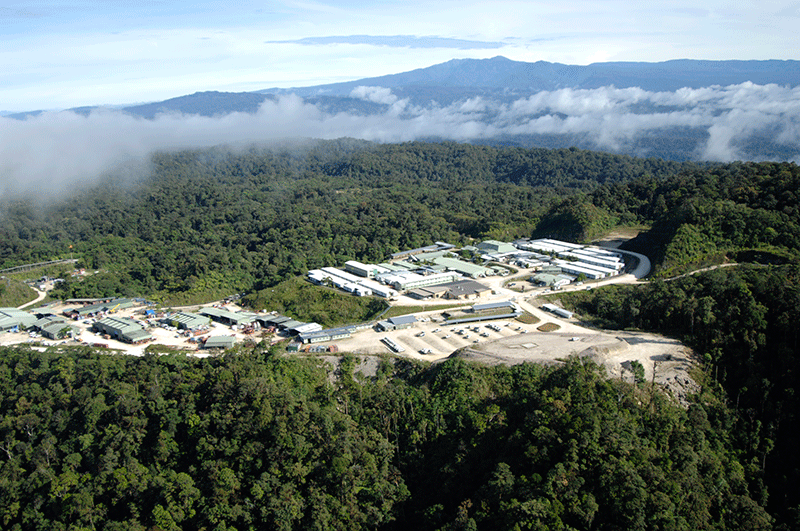 Oil Search’s central processing facility at Kutubu (Oil Search) The other major gas discovery in PNG is the Elk/Antelope field in PRL15, which has been independently assessed to have a P50 recoverable raw gas resource of 7 Tfc. Singaporebased InterOil Corporation discovered the field in 2006 and, until a couple of years ago, was planning smaller LNG projects of about 2 million tonnes per annum both onshore and as floating systems. However, the company announced in December it had agreed to sell 61.3% of PRL15 to Total for between $US1.5 and $US3.6 billion, and would now pursue a world-scale LNG development with Total as operator. Two months later, Oil Search announced it had bought itself a seat at the Elk/Antelope table with the acquisition of a 22.835% interest in PRL15 from Pac LNG for $US900 million. 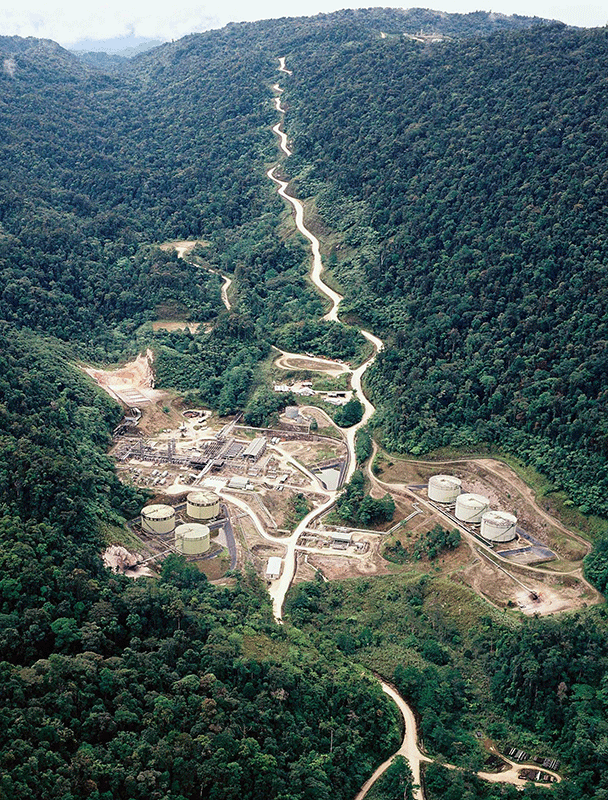 Corporate manoeuvring over PNG petroleum potential is only just starting. Within weeks of the Oil Search-Pac LNG deal, InterOil and Total announced they had settled on a scaled-down version of the previously announced transaction that would hand a stake of only 40.1% to Total. Oil Search immediately lodged a notice of dispute on the basis the revised deal had over-ridden its rights under the PRL15 joint venture agreement. All parties are adamant about the strength of their respective positions, and the dispute could end up in court if a commercial resolution is not achieved. (Oil Search) Whatever the outcome, the arrival of Total and the start-up of PNG LNG has ensured worldwide interest in the nation’s petroleum potential. Oil Search’s executive general manager, exploration and business development, Julian Fowles, told GEO ExPro that all of the key factors for petroleum discoveries come together in many parts of PNG. A significant discovery of light oil in sandstones with excellent porosity has been made on the Tampen Spur in the North Sea. Prior to this find, the area was thought to be both gas-prone and to have poor reservoir parameters. Brazil’s Reserves will Last 50 Years! Giant discoveries in the pre-salt play are expected to boost Brazil's production to almost 6MMbopd within 10 years.